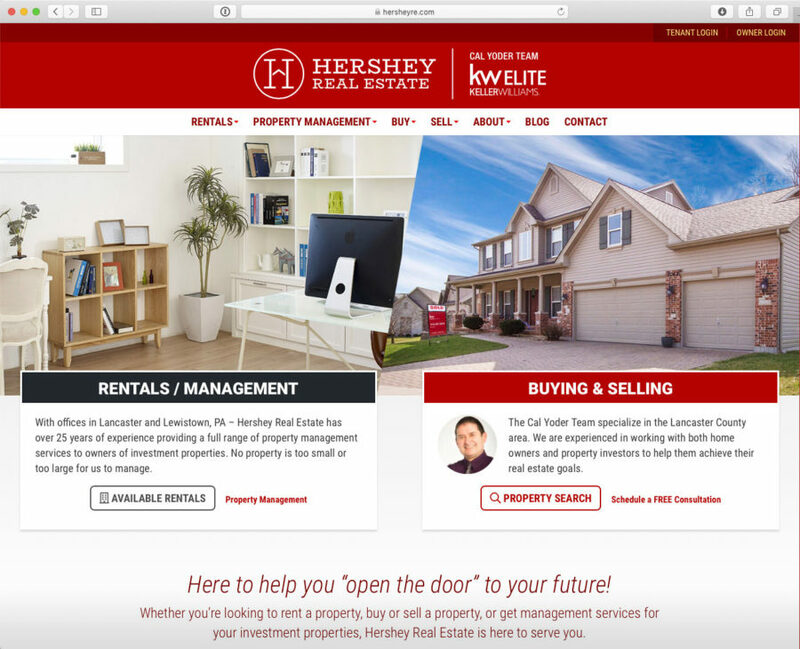 Website for Hershey Real Estate - Yoder Design Co.
Hershey Real Estate is a Lancaster-based property management and real estate company. The website displays available rental properties, properties for sale, and includes IDX property search integration. One of the project goals was to effectively display rental properties with all their important information in a clean and consistent way – and they needed to be easy to manage for the Hershey Real Estate staff. I set up a solution that has custom data fields for each property, so that it would be easy to add new properties, and edit existing ones.